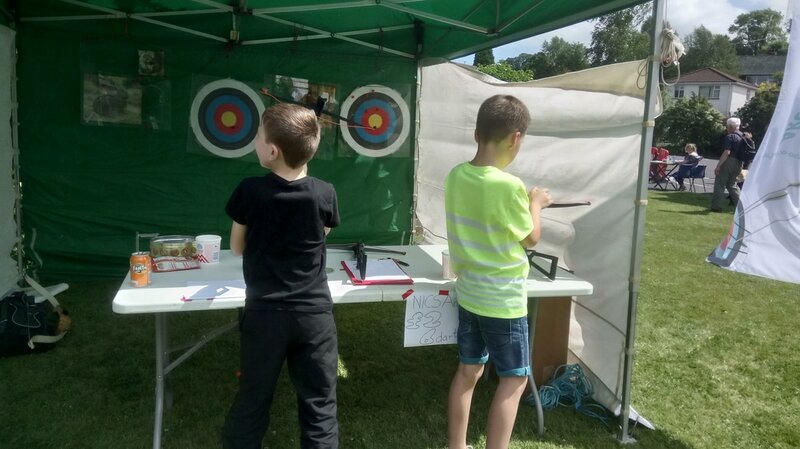 One of our fundraisers at St Dorothea's Church Fete, Gilnahirk. 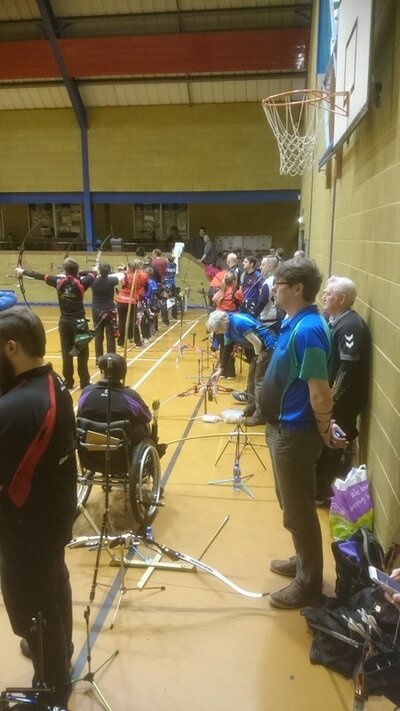 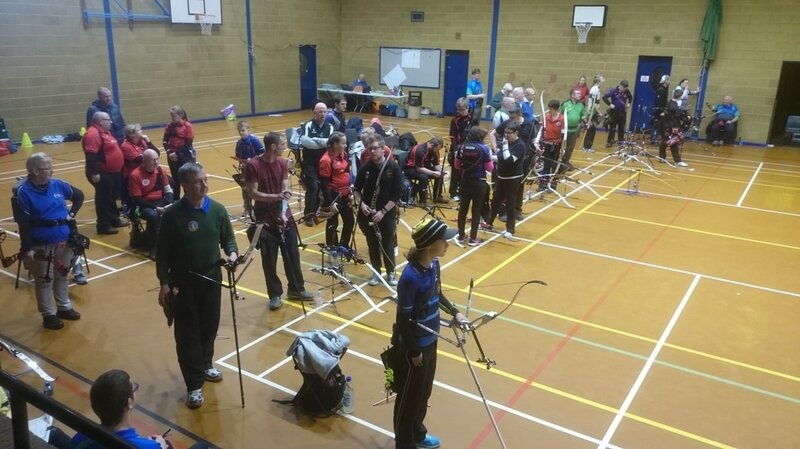 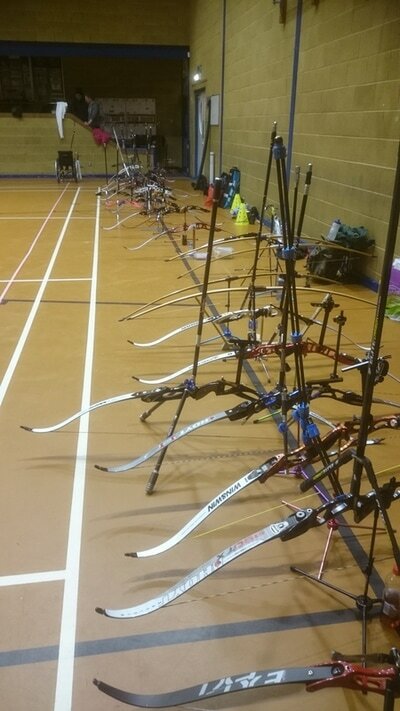 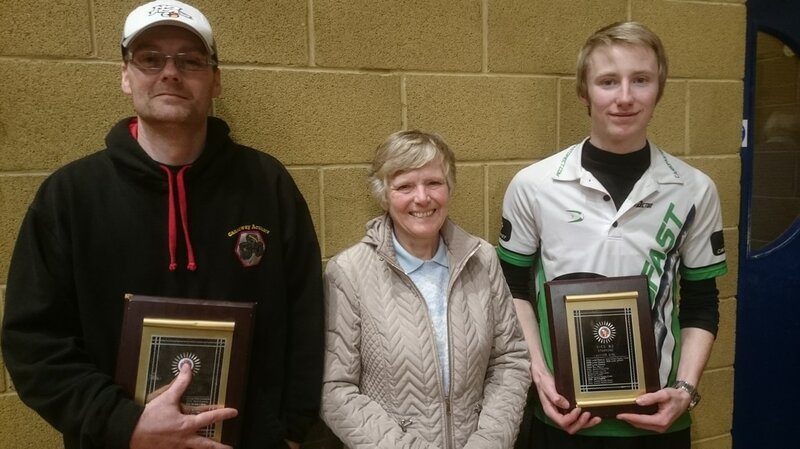 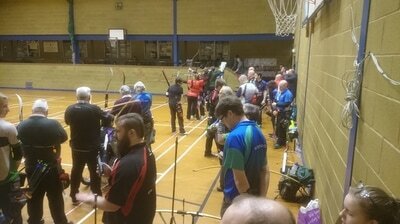 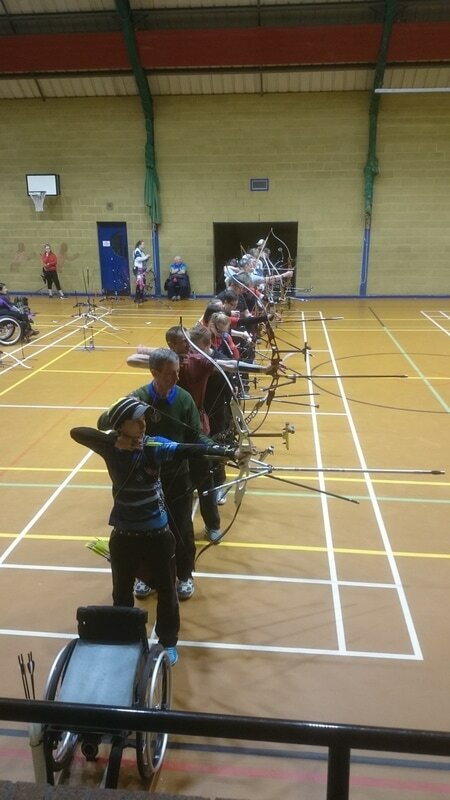 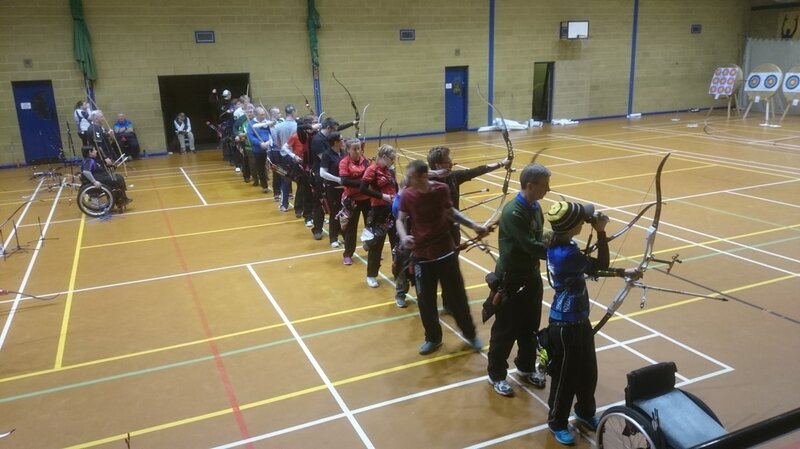 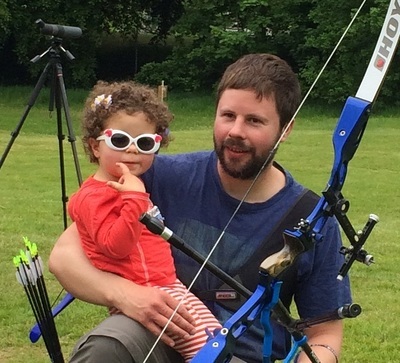 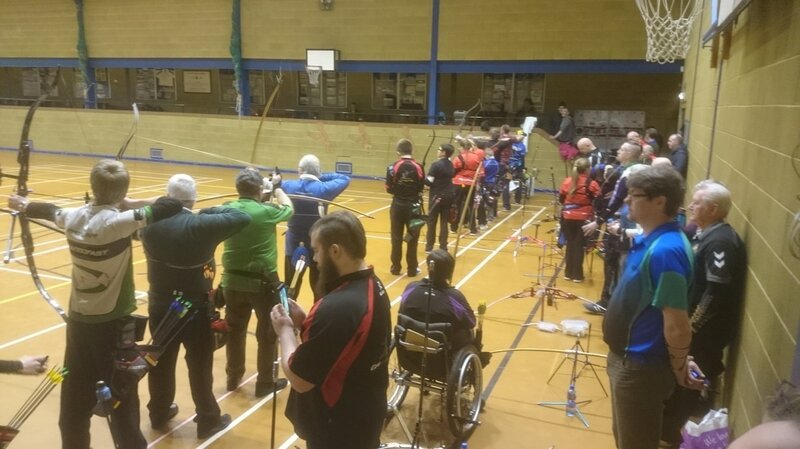 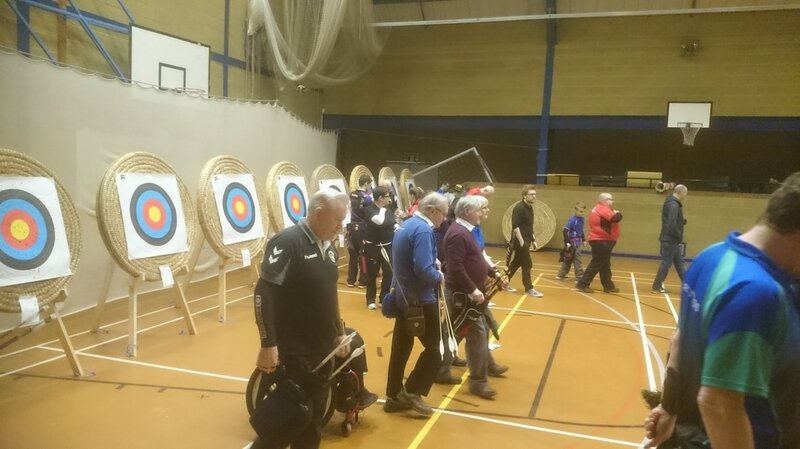 The latest archery evening class at Glastry College has just finished with a special demonstration and advice session from the Ireland Number 1 compound archer Darrel Wilson. 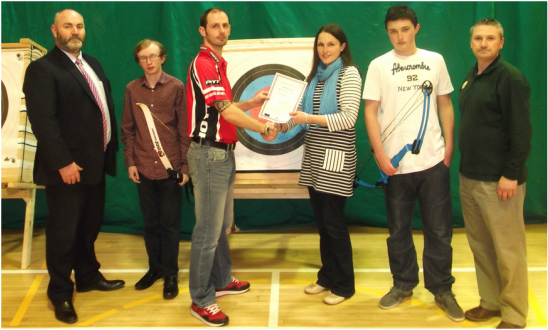 The class encourages parents to come along with their children to shoot together and competition is often fierce. 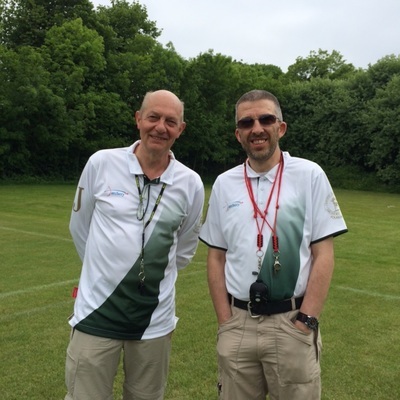 The class is run by one of our members Alasdair Bailie, who is also an ICT teacher at the school. 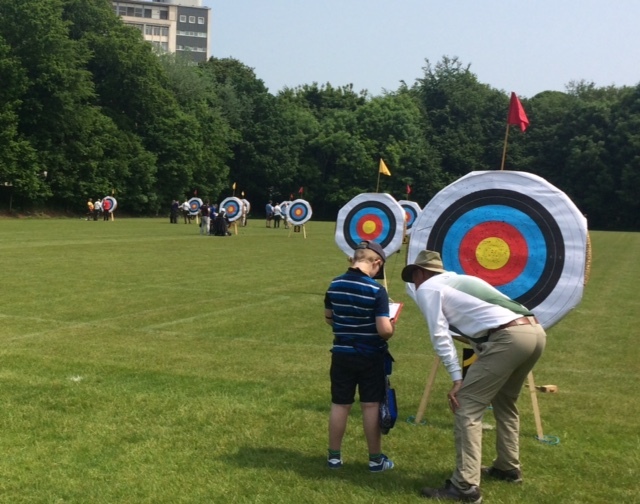 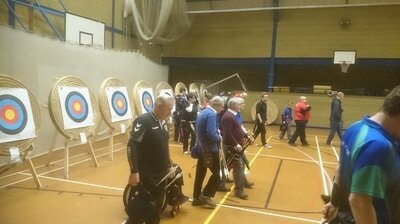 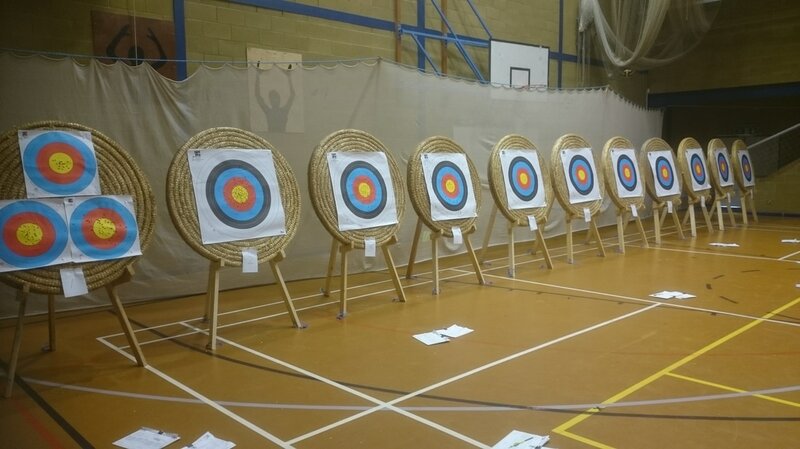 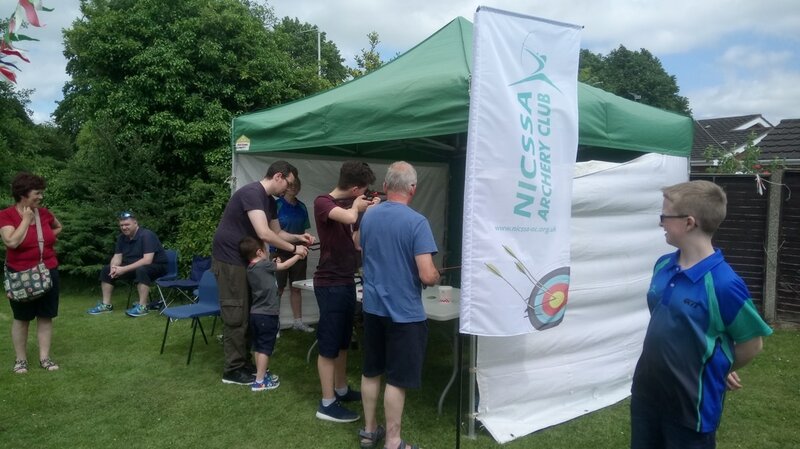 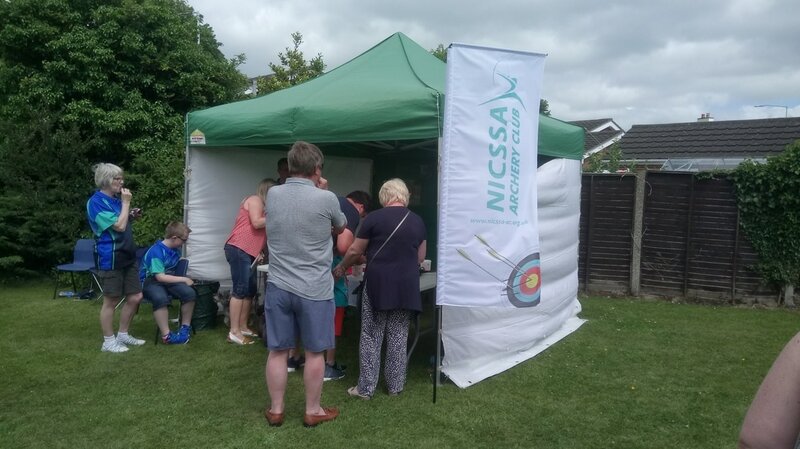 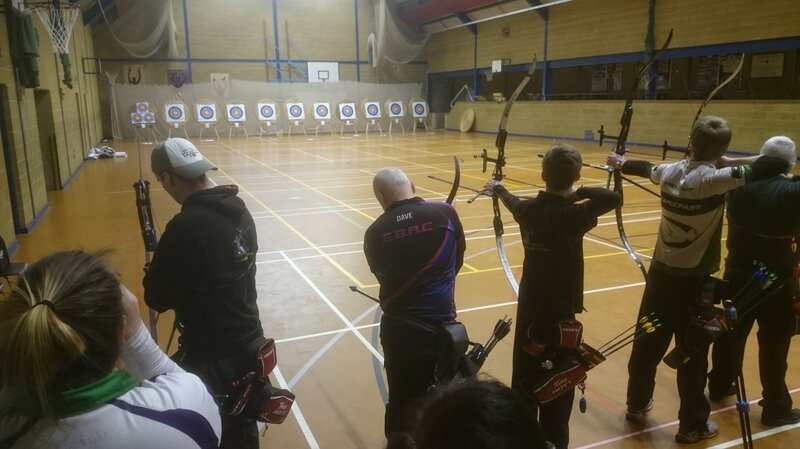 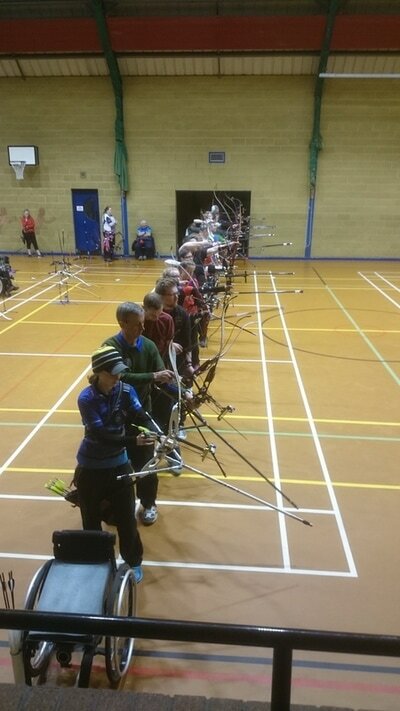 As well as the night class, the school in conjunction with our club has managed to integrate archery skills into its GCSE PE curriculum, much to the delight of the pupils and Principal Mr Alan Hutchinson, pictured on the left. 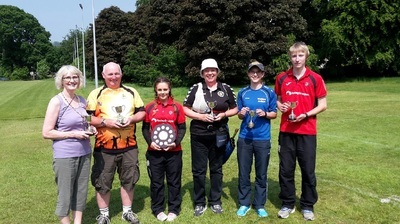 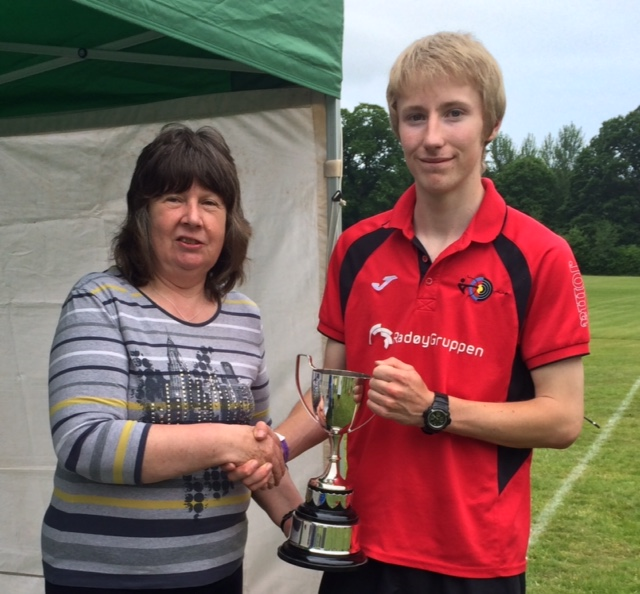 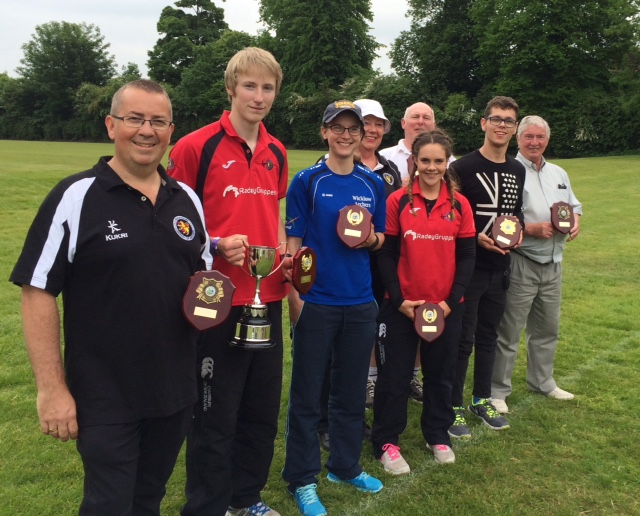 Our latest trip to the UK Civil Service Championships in September 2014 at Huntingdon, Cambridgeshire.